Boxes on the side of the road to accept letters were first introduced into the UK in 1853 with a trial run in the Channel Islands. 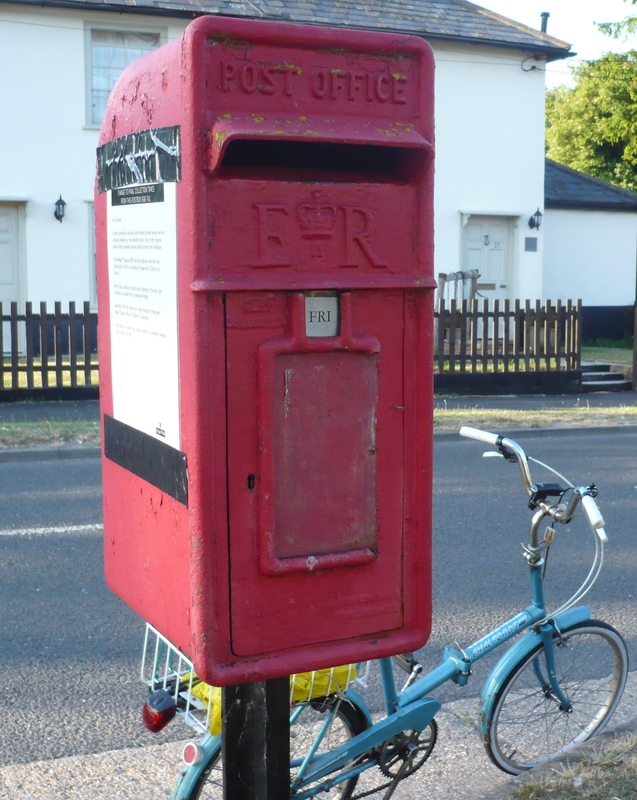 This system of collecting letters for posting soon spread throughout the UK. Post Offices either had a freestanding pillar box or one built into the wall that could be emptied from inside the building. 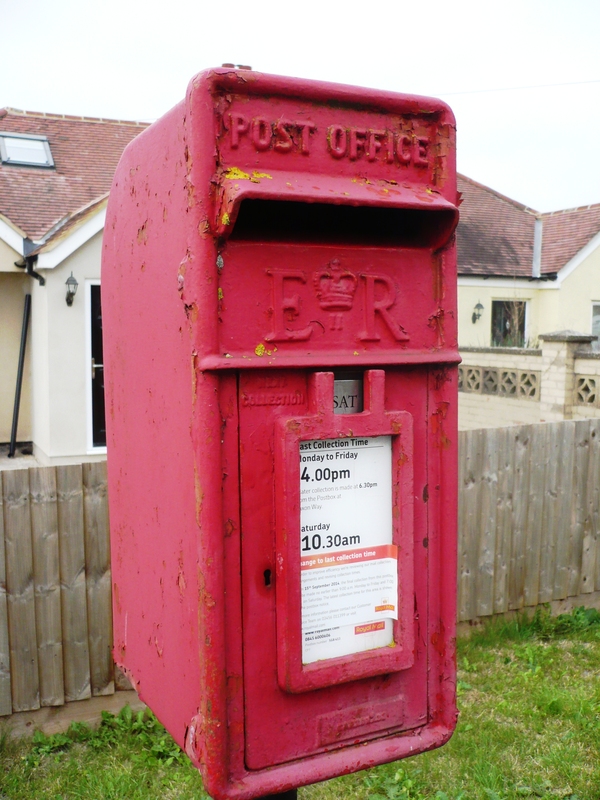 Where the amount of post to be collected was small, 'lamp' boxes were installed, so called because they were attached to lamp posts or telegraph poles. 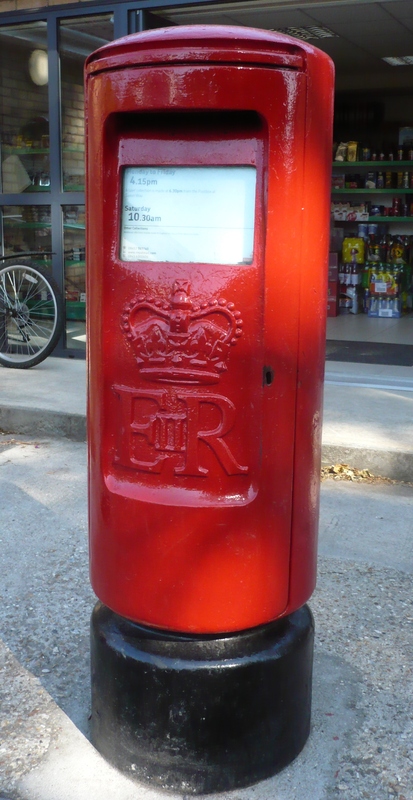 Orwell's first post box was at Russell's shop, 3 Town Green Road, where the village Post Office was first established in 1862. When Russell's shop was destroyed by fire the Post Office was moved to Scruby's shop and bakery at 5 High Street. 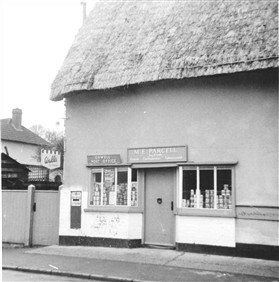 Photos of this building show a wall-mounted 'Ludlow' post box. Ludlow boxes, named after the Birmingham manufacturer James Ludlow, were made for use at sub-post offices between 1885 and 1965. Manufactured from sheet metal and wood with distinctive enamel plates they were more prone to rot than cast iron boxes. 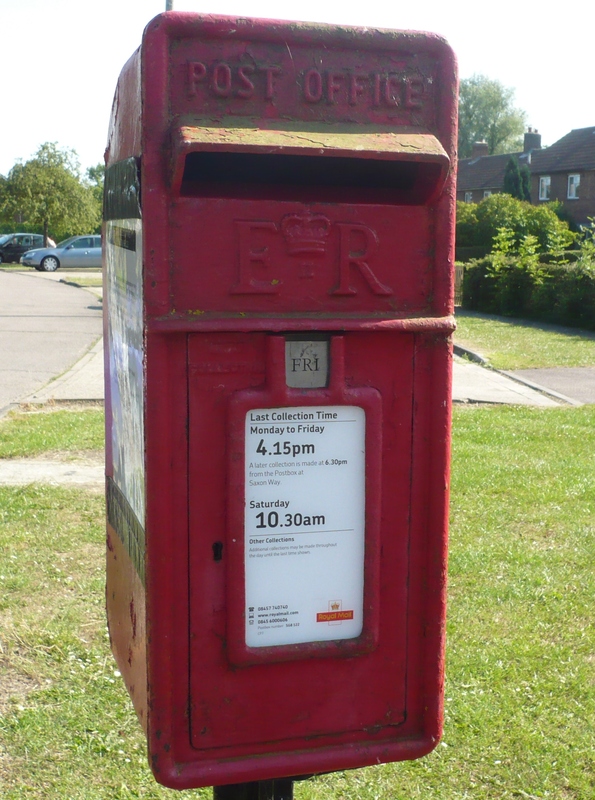 In 2014 Orwell has four boxes; a lamp box in the High Street near the Village Hall, another in Meadowcroft Way and one on Hillside, and a very modern pillar box outside Orwell Village Stores. This gallery was added by Derek Skipper on 19/07/2013.